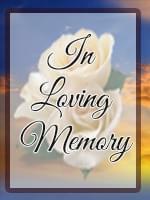 Luz Garcia Rodriguez, 83 of Chandler, AZ passed away on March 12, 2009. He was born November 12th, 1925 in Alamo, TX. & worked in construction for 45 years. He is preceded in death by his Wife: Lydia Maria Guteriz Rodriguez. Those who remain to miss him are his Son: David (Merideth); Daughter: Christine (Juan); Six Grandchildren & One Great Grandson. A Rosary will be held at St. Mary?s Catholic Church at 7:00 PM, March 16, 2009. Visitation will be from 10:00 AM to 12:00 Noon, Tuesday, March 17th at A Wise Choice Desert View Chapel, 9702 E. Main St in Mesa. Following the visitation a Graveside Service will be held at 1:00 PM at Queen of Heaven Cemetery in Mesa.